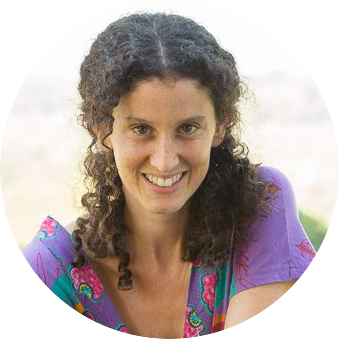 Efrat Wolfson is a mother of 2, relationship & sexuality coach and eco-peace activist. She has developed the Conscious Couples Formula and the Passion Map for turned-on women. Efrat teaches and inspires women world-wide to live a turned-on, vibrant, juicy life of passion - by connecting with their sexual & feminine energy. In this interview Efrat talks through the 5 common blocks that women have around their sexuality. She explains very clearly how to identify which one holds you back (probably more than one!). And she gives you simple and effective tools to deal with all of the 5 blocks. Find out what is your main sexual block that holds you back from enjoying freedom, passion and pleasure in and outside the bedroom. VIP ticket holders get $50 off Efrat's 101 Jade Egg training..
Purchase your VIP ticket to get the coupon code.